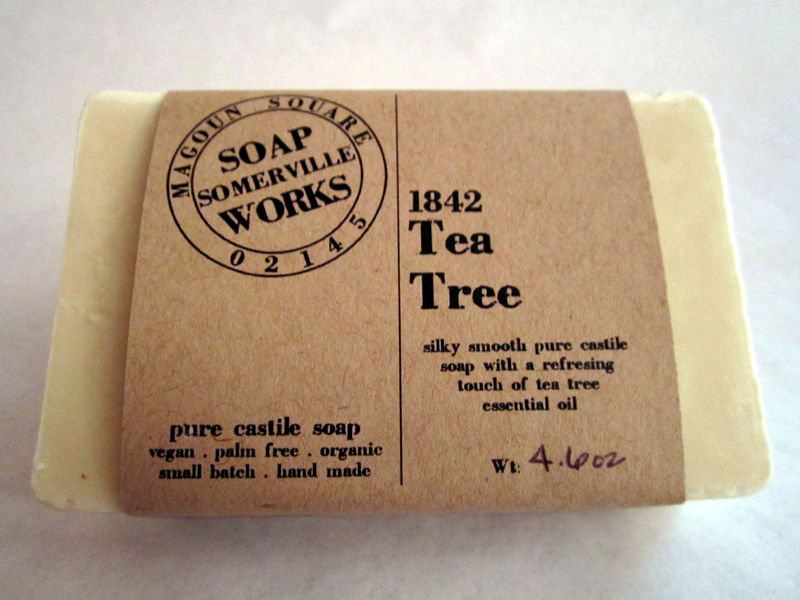 Hello and welcome to the Somerville Soap Works, your source for 100% pure olive oil castile soap. Always vegan, and free of palm, nut, corn or coconut oils! 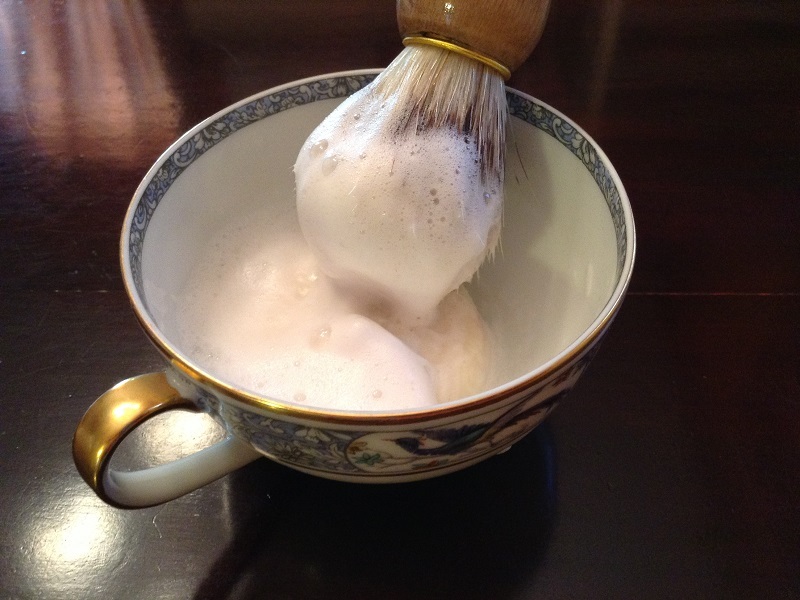 All products are made using only the highest grade, hand-selected ingredients, with no added dyes or perfumes. 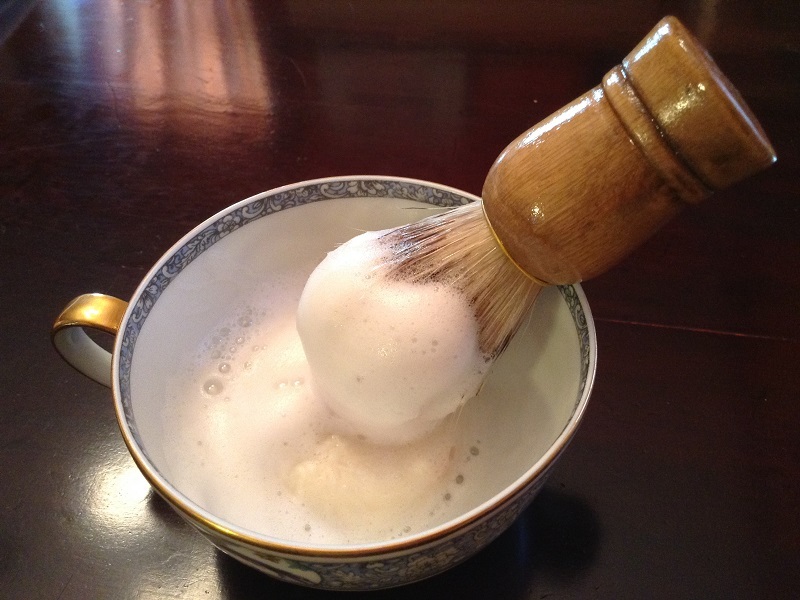 Detergent, paraben, sulfate and phthalate free! 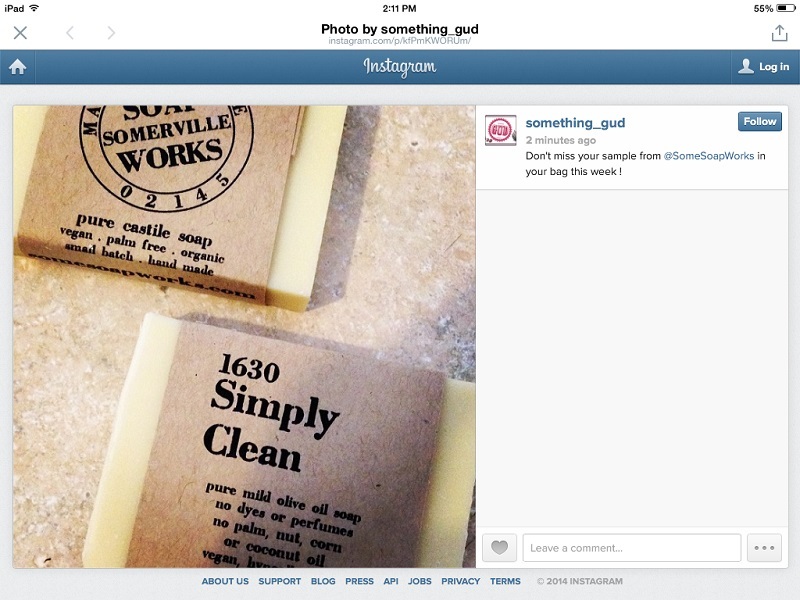 Send us an email at somervillesoapworks(at)gmail(dot)com, follow us on twitter or come and visit our Etsy shop! 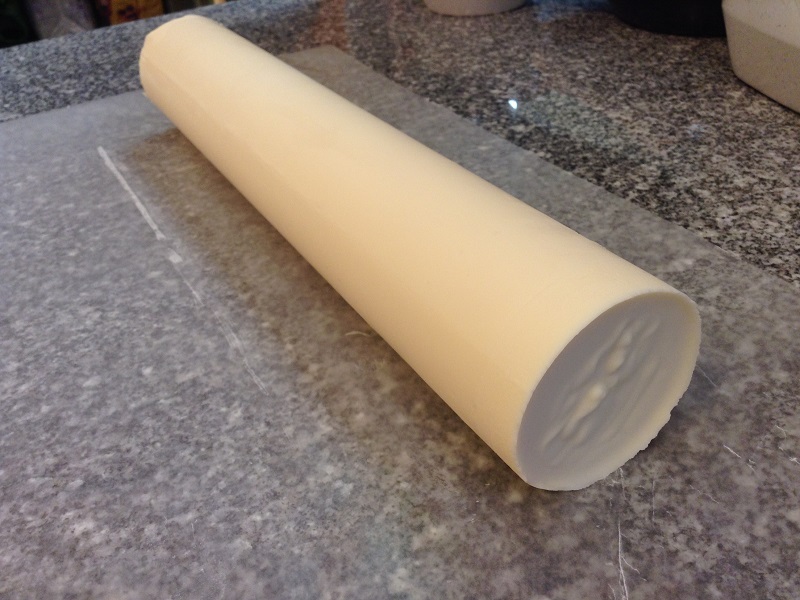 It’s been a busy time at the Soap Works! 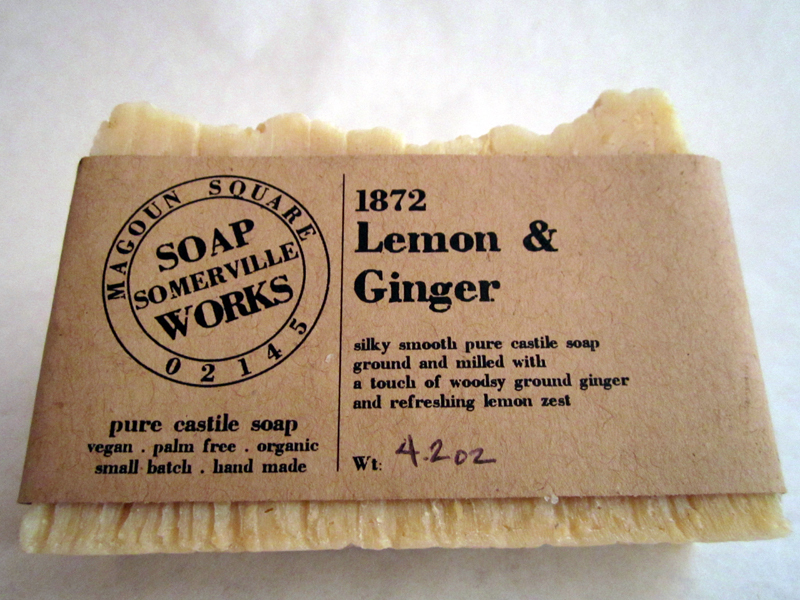 We have so much news to relate: new products, new tshirts, new venues to purchase Soap Works soaps and more that will take the next few weeks to get through updates on it all! To start us out, the last couple of months have been shower season! 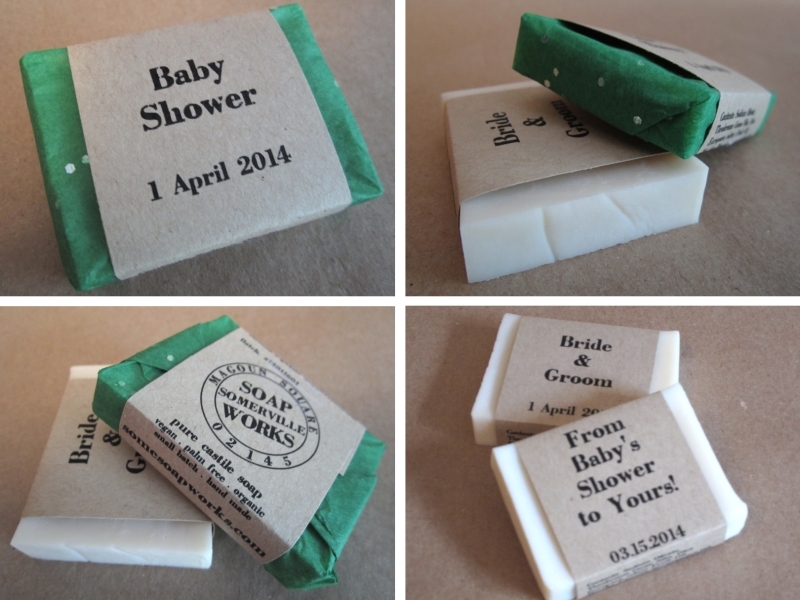 No, there’s no particular time of the year to prefer showers over baths, and yes, it’s been pretty rainy, but I am speaking specifically of baby and bridal showers! 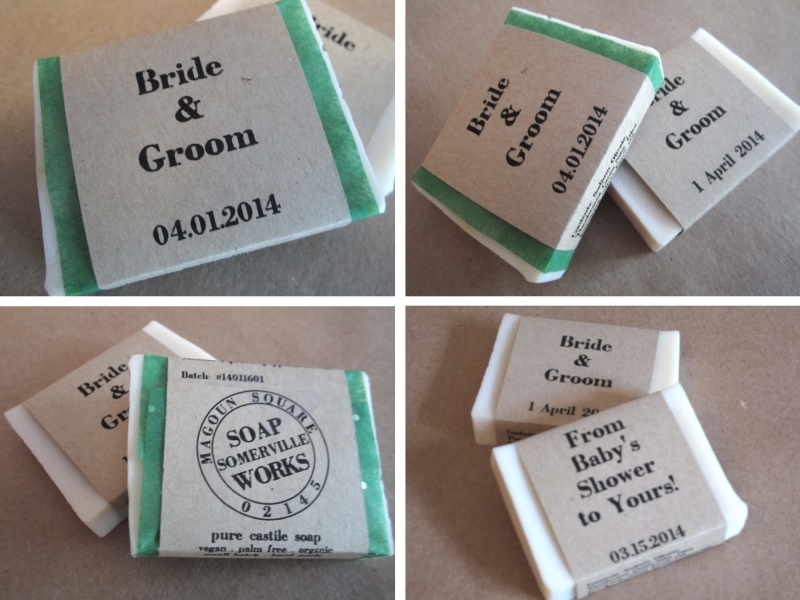 Thanks to a couple of recent special orders, we’ve now got a pretty good handle on new packaging for folks who want to provide soap to their guests as mementos and favors, and we’re happy to offer custom labeling! 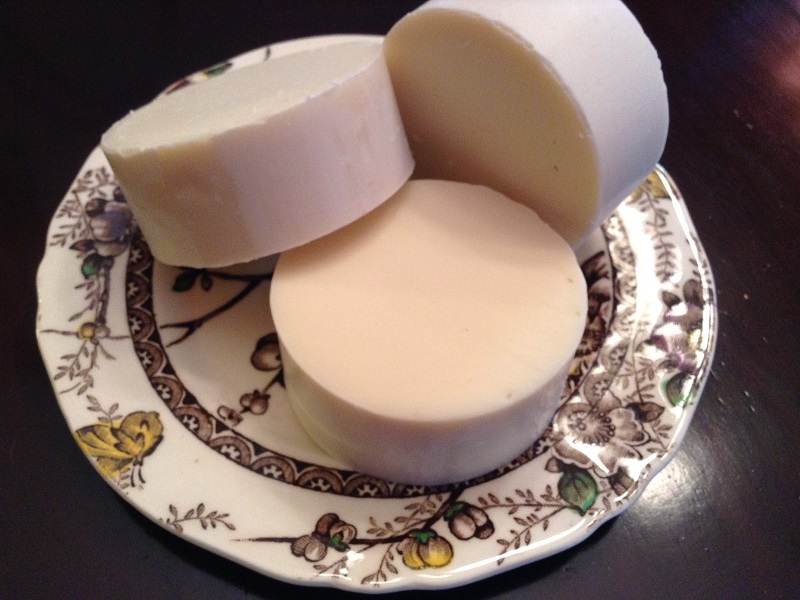 We offer bulk pricing on the full range of 100% olive oil soap in the ca. 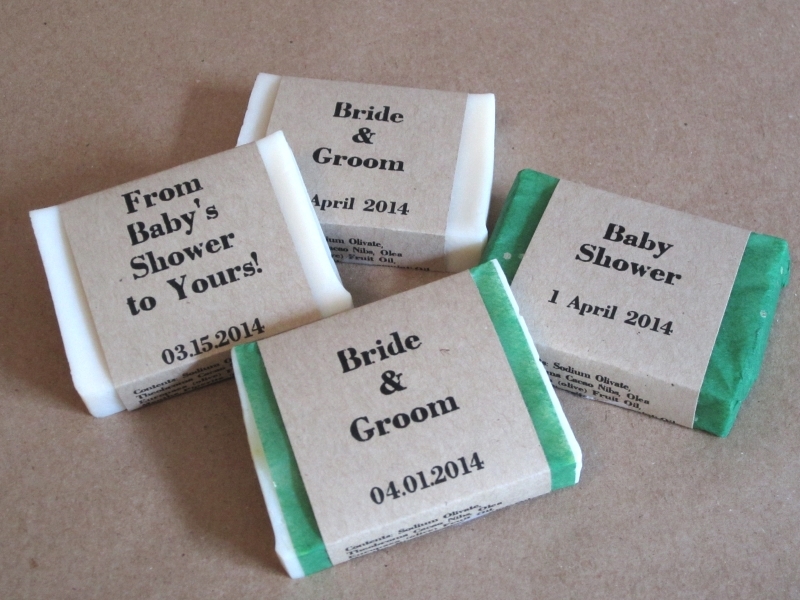 1 ounce sample size, and we can customize the front of each bar to provide up to three or four lines of text, in addition to the date of of your event! Want custom printing for your event? Just email us for details! 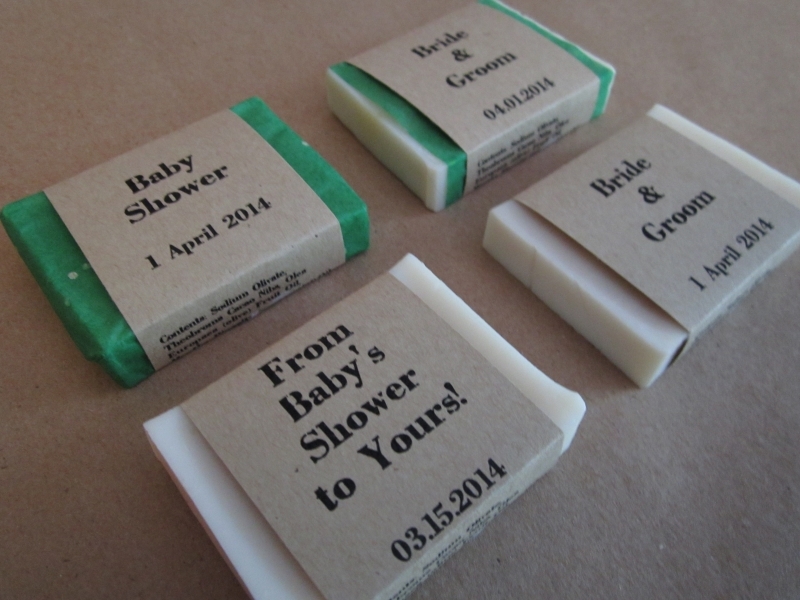 The first is a simple slip, placed between the label and the soap so that a bit of color shows to either side of the brown paper label. In addition to this simple color option, you can also have a more finished version where the sample is wrapped like a package in the tissue before having the label added. Depending on the size of the order, it could be possible to have two or even three colors, subject to availability of tissue paper in the desired colors, of course. So, if you are looking for party favors or small gifts to accentuate your special event, just send us an email or visit our Etsy shop to request a custom order!